When it comes to marketing on Instagram, crafting and posting on your feed is only half the battle. The other increasingly popular way to share and consume content on Instagram is via Stories. A huge segment of Insta users favour viewing content via Stories these days, preferring to simply tap through Stories instead of scrolling endlessly. Many users will even reply to stories but won’t take the time to comment on your post. Instagram Stories offer a slightly different way of sharing content with audiences, allowing you to tap into a segment that may never otherwise have engaged with your brand. Adding a level of immediacy and intimacy, Stories can also help bring a human element to your social media presence. There’s something a little less inhibited about Stories and honestly, if you haven’t jump on the bandwagon yet, you’re missing out. Insta Stories can be a seriously fun way to engage with potential customers, without the stress that can be associated with regular posting. Additionally, Stories have been proven to increase traffic, leads and sales! While Insta Stories are a great way to be bold, creative, personable and less constrained, like all marketing efforts, they should always have a purpose. Your Stories should always have an intention and structure, should keep your audience from start to finish and, ideally, see them take action. Including some kind of call to action can be a great way to see results and Instagram offers some excellent ways to do this. For example, your Story could link to a recently published blog post, include a ‘swipe up’ link to a particular product or service or simply tag a relevant partner or related Insta profile. The best part about using Instagram Stories is that you can monitor the results quickly and easily. See how many people have viewed your story, check out who they are and where they’re located and suss out whether they’ve watched your entire story or simply swiped through. You can even monitor the number of users who engage with your calls to action. With so much information around, it’s easy to become overwhelmed when it comes to creating and sharing content for Insta Stories. Here’s a list of my top 5 Story ideas. Obviously, not all of these ideas will match your brand and your customer base, so be sure to pick and choose the ones that work for you. There’s never been a better time to get started with Instagram Stories. 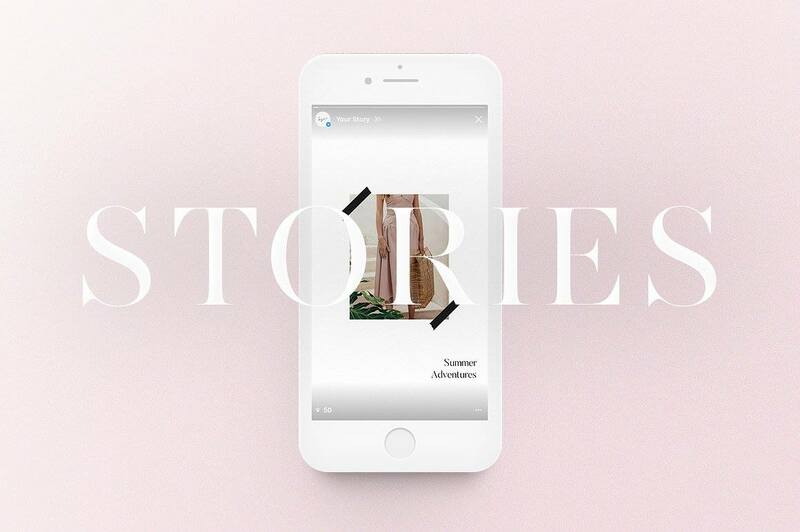 With the potential for more exposure, more interaction and ultimately more revenue for your business, Insta Stories could be the lift you need. Why not give them a go today? If you need any advice on where to from here, get in touch!